We're beginning to get super excited for LodeStar Festival, taking place this September. Here's the second in our series of previews, looking at who's heading to the field to play on the Saturday (3 September). Backed by her band Tom, Charlie and Aaron, Misty Miller is steadily garnering a fanbase with her punky pop music, marking a stark contrast to her folky debut release five years ago. The 21-year-old South Londoner released her album The Family Is Worried earlier on this year, receiving major critical praise, including from The Guardian. For a start, we think it's pretty awesome that The Sherlocks is comprised of two sets of brothers - Kiaran (lead guitar and vocals) and Brandon Crook (drums), plus Josh (guitar) and Andy Davison (bass). The Sheffield indie/alternative four-piece are one of the hottest upcoming British bands - they've received airplay on BBC Radio 1 and are set to play a big UK tour this September. 20-year-old Jerry Williams is an indie pop singer-songwriter based in Portsmouth. After a string of live shows including Great Escape Festival and a tour supporting Vanessa Carlton, there's no doubt in our minds she's going places. She's even managed to bag herself a support slot at Take That's British Summer Time gig in Hyde Park this weekend (9 July)! Oxford-based Americana rock band Invisible Vegas initially formed in 2007 and have been through various line-ups, with the current one being a permanent fixture since 2012. The band is comprised by founding member, lead singer and guitarist Alex, Chris (lead guitar), Jacques (bass) and Ash (drums). SPECIAL OFFER: LodeStar have set us up with a ticket discount for all our readers! When you go to purchase your tickets, enter the code HDMP when prompted to get 5% off - don't say we don't treat you! 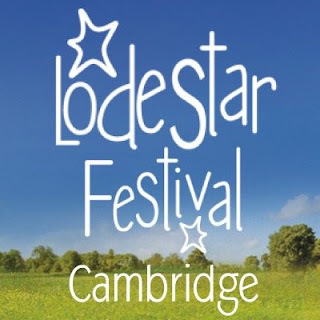 LodeStar Tickets - don't forget to enter HDMP at the check-out for 5% off tickets!